Core stability and core strength are terms that are often used interchangeably when speaking about training the trunk musculature, whether in the rehab or performance settings. The fact is that they are quite different. Training for core stability requires resisting motion at the lumbar spine through activation of the abdominal musculature as a whole. Training for core strength allows for motions to occur through the lumbar spine in an attempt to work the abdominal musculature, often in an isolated fashion. I realize depending on the definition of “core” we could be discussing any number of muscle groups, but for the purpose of this article I will keep it to the abdominals. This may not sound earth shattering but it can be the difference between success and failure when it comes to returning athletes to sports. This goes for returning our clients to their normal every day activities as well. It is my feeling that core stability is the way to go with treatment for PT’s and ATC’s, and in training methodology for the strength coach. Here is why. Looking at the functional anatomy of the lumbar spine, it does allow for movement in all three planes of motion but overall it is quite limited. The lumbar spine can move quite a bit through flexion and extension but we know from experience to avoid repetition going the extremes, hanging out at one extreme or the other for prolonged periods, and to avoid high loads while trying to move through the lumbar spine. Rotation at the lumbar spine is only supposed to contribute 13% of total spine rotation (Sahrmann, 2002), hence limiting rotation with training would be a good idea. Lateral flexion occurs as well but is limited. The total amount of lateral flexion allowed from L1-S1 is 27 degrees, while the thoracic spine is capable of contributing up to 75 degrees (Sahrmann, 2002). This also has a degree of rotation to it which again is not really designed to happen in the lumbar spine. So really when you look at the joints of the lumbar spine, they were built more for stability than for mobility. The motions of flexion/extension, lateral flexion, and rotation really need to occur at the hips and thoracic spine. Go after hip rotation and extension range, increase t-spine extension and rotation and leave the lumbar spine out of it. The functional anatomy of the abdominal musculature also leads me to think that training to resist motion is the ideal way to go. According to McGill (Ultimate Back Fitness and Performance. BackFitPro Inc; 2006), the efforts directed at enhancing function of single muscles, in particular the transverse abdominus, are faulty and can actually cause greater dysfunction. New research has shown that virtually all the muscles demonstrate altered patterns of activation in the presence of back pain in athletes (Cholewicki, et al, 2002) and in workers (McGill et al, 2003). The abdominal muscles don’t work in isolation so attempting to train them in that fashion is asking for trouble. Training the rectus abdominus through the use of lumbar flexion exercises such as crunches, sit-ups, etc., can actually result in the rectus becoming dominant over the obliques and transverse abdominus! Activation patterns are already out of synch when pain is present. Again the case is made for stabilization training versus allowing for motion and isolation. One more quote from Sahrmann’s book (Diagnosis and Treatment of Movement Impairment Syndromes. Mosby; 2002). The most important aspect of abdominal muscle performance is obtaining the control that is necessary to (1) appropriately stabilize the spine, (2) maintain optimal alignment and movement relationships between the pelvis and spine, and (3) prevent excessive stress and compensatory motions of the pelvis during movements of the extremities. All three have to do with stability versus strengthening and force production. Not all of the above are inherently poor choices. They are just performed incorrectly most of the time with no thought to pre-stabilize and limit motion. Even McGill performs a variation of the crunch but it is very technique intensive and does not allow for lumbar motion. Sit-ups, side bends, and most rotational exercises just do not have a place in rehab or in training for athletics. They create more problems than they could ever solve. Core stability exercises must resist motion through the lumbar spine and attempt to engage the abdominal muscle group as a whole in a ‘reactive sense’. Ultimately, the goal is to create an environment through exercise that teaches the patient or athlete to engage reflexively just as they would in real life and in sports. Before getting into specific exercises it should be discussed how best to engage the abdominals. Most of that debate revolves around ‘hollowing’ vs ‘bracing’. According to McGill, hollowing will engage the TA but has the effect of shutting down the other abdominal muscles so overall stability is lost. He is a proponent of bracing which attempts to engage the entire abdominal wall and also has the effect of recruiting the trunk extensors to form a girdle around the trunk. A brace is simply tightening as if someone was going to punch you in the stomach. This is often done at the expense of posture, i.e. bearing down and flexing the t-spine, protracting the c-spine, etc. Cue to ‘Stay Tall’ as the athlete braces to prevent a poor starting position. Here is a simple self test to feel the difference. Sit on the edge of your chair and stand up as quickly as possible (a “power squat” as McGill calls it). Do it first with hollowing and then with bracing. You will feel a difference in stability and even speed of movement. Which technique would you rather teach your athletes and workers? Many patients and athletes have poor body awareness and struggle to engage the abdominals voluntarily let alone reflexively at first. I’m not going to go through the entire evaluation process here, but will say I like to get the athlete supine first just to see the ability to engage with simple movements. Athletes can be very good at hiding their faults so sometimes the more simple the task, the less they can cover up. Can the athlete lift a leg or take an arm overhead without going into lumbar extension? Is the athlete able to contract the glutes and abdominals without flexion through the lumbar spine? Can they abduct a leg without side bending, or rotate the hips separately from the spine? Many cannot. If this is the case then this is where we must start with teaching a neutral lumbar spine and use a few of the traditional lumbar stabilization exercises. From supine, I feel very strongly about perfecting the bridge for a few reasons. 1) As mentioned above, can the abdominals and glutes fire to stabilize the spine but in a controlled enough manner that the patient does not go into a posterior pelvic tilt? 2) The patient must resist lumbar extension at the top of the movement. It’s the more is better attitude: “If I lift higher it must be better”. They must learn quickly that control is king. 3) Teach them to use their glutes to extend the hips, versus using the hamstrings. Synergistic dominance of the hamstrings is something I have written about before (see Preventing Hamstring Injuries). It’s why many patients will get a hamstring cramp when bridging. The hamstrings should be off during the entire movement. Start with the traditional bridge, progress to a bridge with marching, and finally to single leg bridging. Notice in the first picture, a straight line could be drawn from the knees, through the hips and back to the shoulders. This is maximum height. Allow the patient or athlete to press down through the hands, not to help lift, but to reflexively engage their abdominals. Watch with marching (alternating hip flexion) that the pelvis does not drop or rotate when a leg is lifted. In quadruped, work shoulder flexion and hip extension separately initially then combine them into the bird dog exercise. Fire hydrants are also excellent from this position to resist rotation. A great teaching technique to use involves placing a towel roll across the lumbar spine and cuing the patient not to let it fall off. As they progress, use a water bottle to ensure greater stability. Progress the bird dog by adding resistance to the shoulder and hip. Here I use a Gray Cook Band but a regular band or piece of tubing would work fine too. Notice the floor pad under my stationary knee. This is a neat little trick to prevent the weight shifting onto that hip that will often result in pelvic rotation and loss of stability. In part II of Core Stability vs Core Strength, I will get into the progressions in plank and push-up position. 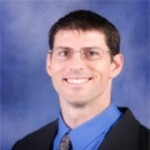 Joe Heiler is a physical therapist specializing in sports medicine and orthopedics in Traverse City, Michigan. Joe is also a highly sought after strength and conditioning coach working with athletes at all levels in football, baseball, hockey, track, and power lifting. He is also the owner of http://www.sportsrehabexpert.com. Feel free to contact him: [email protected]. Shirley Sahrman. Diagnosis and Treatment of Movement Impairment Syndromes. Mosby; 2002. Cholewicki J, Greene HS, Polzhofer GK, Galloway MT, Shah RA, Radebold A. Neuromuscular Function in Athletes Following Recovery From a Recent Acute Low Back Injury. J Orthop. Sports Phys. Ther. 2002. 32:568-575. McGill S. Ultimate Back Fitness and Performance. 3rd ed. Ontario, Canada: Backfitpro Inc; 2006. McGill S. Low Back Disorders – Evidence Based Prevention and Rehabilitation. 2nd ed. Human Kinetics; 2002. Joe Heiler MSPT is the owner and content manager of SportsRehabExpert.com, a website dedicated to advancing the education of rehab and performance professionals. The site focuses on orthopedic and sports physical therapy topics through webinars, audio interviews, articles, manual therapy and exercise videos, and more. Joe is also the owner of Elite Physical Therapy and Sports Performance in Traverse City, MI specializing in orthopedics and sports medicine, as well as athletic performance training. He is Graston Technique (GT) Certified as well as a GT Instructor, SFMA and FMS trained, and is passionate about a number of soft tissue and manual techniques including Trigger Point Dry Needling and manipulation.